Some 60 injured soldiers and their partners, coping with both physical injuries and mental health issues, had the chance to take the controls of the world’s most acclaimed special forces vehicles at an event on 24 January organised by Motorsport Endeavour and Help for Heroes and hosted by Supacat at its off road test track in Devon’s Blackdown Hills. 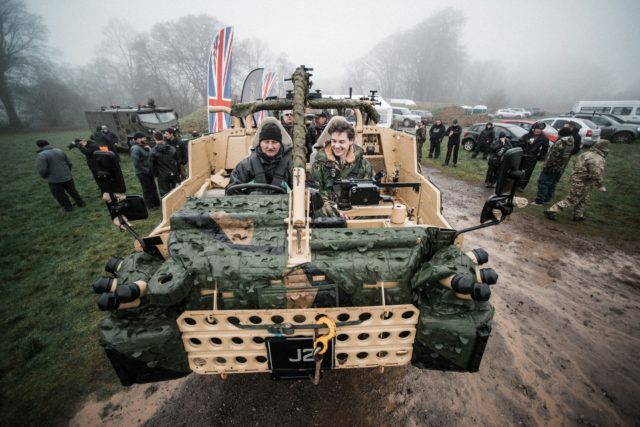 The British military vehicle maker provided a range of its high mobility vehicles, including the 4×4 `Jackal` and 6×6 ‘Coyote’ which are part of the British Army’s core fleet. The vehicles were fitted with adapted controls for the day and the Supacat drivers were there to guide them around the track. Motorsport Endeavour is unique in supporting the psychological recovery of service personnel and veterans through nationwide motorsports events. To date, Motorsport Endeavour has put together over 250 events with in excess of 5,000 servicemen and women experiencing high-octane, adrenaline-rushing motorsport events. Many have made life-long friendships and gained much-needed confidence and life skills, built trust and comradeship, and thus gained a more fulfilling life with positive self-esteem and resilience. Motorsport Endeavour was founded by Graham Raphael, who himself suffered paralysing injuries in 1977. He comments, “By definition service personnel have guts and they gain from many different aspects of these events, which help diffuse their problems. For someone who has lost his sight or a limb, giving them the controls of a vehicle makes them realise life isn’t over. The public may no longer see the coffins passing through Royal Wootton Bassett but the mental and physical challenges continue for them and their families. The carers are `The Forgotten Few` as they are often overlooked, hence we involve them in all our events”. 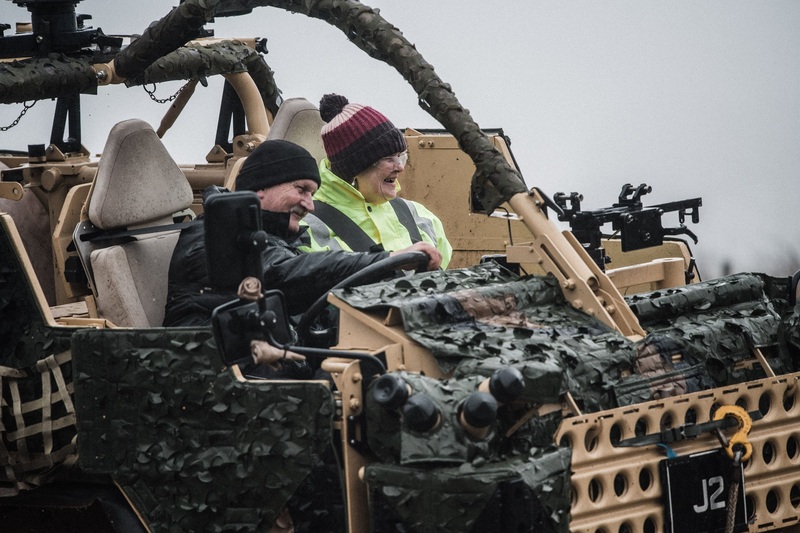 Nigel Platt, a former Royal Marine and Supacat driver who organised the event, said, “Our aim is to put a big smile on their faces. It gets many of them out of hospitals doing something they never thought they’d be able to do again, and taking back control, which boosts their confidence”. Supacat has hosted numerous Drive Days for Motorsport Endeavour as part of its commitment to supporting the armed forces community. Last year it was awarded the Armed Forces Covenant Employer Recognition Scheme (ERS) Silver Award for its support to the armed forces community.